How many snowboard brands can you name of the top of your head? Maybe 10...15? What if I told you there were dozens of handmade snowboard brands that are making snowboards that are just as good if not better than your Burtons of the world? Today, there are so many boutique snowboard brands located all over the world, building some of the most advanced and innovate snowboards on the market. Below you will find 21 of these handmade snowboard brands. I guarantee at least a couple will catch your eye. Deviation Ski & Snowboard (http://deviationusa.com/) “We are engineers, craftsmen, and artists seeking to break free from stagnant industry standards.” Handmade snowboards in Oregon and built from locally sourced materials, Deviation was founded in the summer of 2012 by a handful of friends that wanted to challenge the status quo in the snow sports manufacturing world. Deviation offers a number of models, along with custom and build your own workshop options. Deviation is among some of the best ski brands in the world as they use a pretty unique wood called purple heart, which allows them to increase the dampening of their snowboards significantly. Igneous Snowboards (http://www.igneousskis.com/snowboards) "Igneous is one of the first custom ski companies, founded in Jackson, Wyoming since 1993. Igneous has handmade custom snowboards in Jackson, Wyoming for over 20 years. We set out to make the perfect big mountain freeride powder board that could withstand an entire season of hard-charging in Jackson Hole, a place notorious for devouring boards. That mission remains." 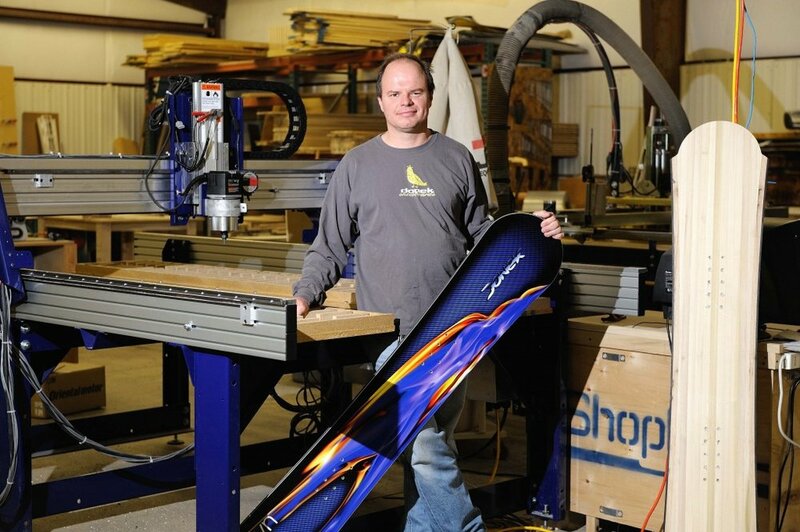 Founded by Mike Parris who was originally from PA and was studying to become a robotics engineer at Carnegie Mellon when he realized his true calling was to build the bestsnownoards and skis. Check out their full story here. Gilson Snow (http://www.gilsonsnow.com/) Gilson Snowboards offers some of the most unique handmade snowboards on the market. “We believe in the value of American artisan manufacturing. Our wood-cores are shaped from locally-grown and sustainably-harvested Pennsylvania Poplar trees. From start-to-finish, our boards and skis are crafted under one roof at The Gilson Snowboard & Ski Farm, located in the Appalachian foothills” What makes Gilson So unique is that they use a technology which they call the “Soft Edge” What this means is that the base of the snowboard is curved up to meet the steel, forming a soft edge that allows you to make drifty and floaty maneuvers. I had the chance to build a board at the Gilson Snowboard & Ski Farm and I got to tell you, their boards are on another level. Donek Snowboards (https://www.donek.com/) Handmade snowboards in Colorado. With the Rockie in their backyard they have the ability to test and improve on all their snowboards shapes and design. “We offer an unparalleled level of consultation and customization. As a family business with a passion and appreciation for snowboarding and skiing, we take our craftsmanship seriously, and express that passion in each and every detail of our work. AT Donek, their focus is on getting to know each rider really well so that when they build their snowboard it’s the best it possibly can be. If you are looking to get your hands on a handmade snowboard from Donek you can get a discount through the ReddyYeti Membership. Notice Snowboards (http://www.noticesnowboards.com/) We included Notice Snowboards on our list of the 21 Best Handmade Snowboards because of their attention to quality. “Notice boards are designed and handcrafted in our shop in Whitefish, Montana, using only high quality materials, sourced in the USA. All boards are made to order and ship within a 3 week time frame. We can tweak any of our shop designs to make you a board that is perfect for your riding style. Or you can design your very own custom, you pick the shape, profile, materials and artwork- the possibilities are endless.” If Notice, catches your attention you can get 15% off all their boards or 10% off their custom snowboards here. Zion Snowboards (https://zionsnowboards.com/) Handmade snowboards with a social mission! Not only does Zion make some dope snowboards! They have also started the POP Program (People of the Planet). “We believe in offering products that will put a smile on your face…and someone else’s! We donate a portion of sales to charities that are battling some really dark social issues in our world. We believe in being different and making a difference.” So if you are in the market for a quality handmade snowboard from a company that gives a crap, then check out Zion. You can even get 20% off their boards here. Kindred Snowboards (http://kindredsnowboards.com/) Handmade snowboards on Vancouver Island. The artwork alone on Kindred’s snowboards will blow you away. “We, Angie and Evan, design and build Kindred Custom Snowboards together. We embarked on this creative journey to feed our passion for The Ride - not just the act of sliding on snow, but the entire alpine experience. It's an experience that connects us to our kin: the people with whom we share a joy for powder, park features, and the beauty of mountains.” Kindred Snowboards also offers limited edition boards that are equally as epic! Smokin’ Snowboards (http://smokinsnowboards.com/) With 21 years of experience, their handmade snowboards are all built in the USA. They have dedicated a lifetime towards mastering the craft of snowboard building. Over the years they have won countless awards for their snowboards. You chan check out their trophy case here. If you are in the market for a new snowboard, I would definitely consider Smokin’ Snowboards. 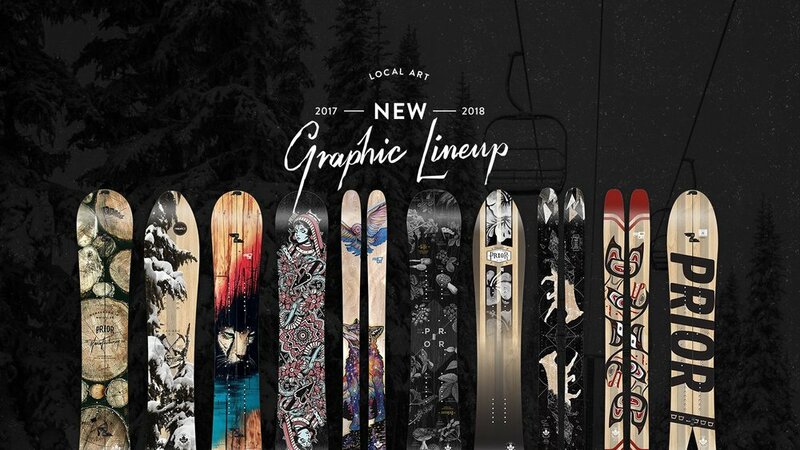 Spring Break Snowboards (https://springbreakshop.com/) Founded in 2010 by artist/snowboarder Corey Smith. “Our vision was to create an art project in the form of a fictional snowboard company with zero creative boundaries. At the height of homogenized twin-tip snowboard design, Spring Break set out to deconstruct modern snowboarding and re-introduce the beauty of the sport through its surf style roots.” These are some of the most beautiful handmade snowboards on the market. If you’ve never heard of Spring Break Snowboards, I would highly suggest checking them out. Tribe Snowboards (http://www.tribesnowboards.com/) One of the lesser known brands on the list of the best snowboard brands. We are a small batch snowboard manufacturer, based out of Mammoth Lakes, CA. We do everything in-house, from printing and sublimating graphics to designing and pressing our own boards. Our team is made up entirely of riders that have a passion for crafting better made snowboards, and keeping manufacturing in the USA.” If you are in the market for a new snowboard they are definitely worth checking out. Niche Snowboards (https://nichesnowboards.com/) “Niche is based out of Salt Lake City, Utah and crafted in a small town in Austria. Founded by a fusion of skilled craftsmanship and a passion for design, our focus is on high quality and environmentally friendly snowboards” Niche’s mission is to build the best snowboards while creating the smallest footprint and building awareness around issues affecting our environment. SnoPlanks (https://www.snoplanks.com/) Handmade snowboards in Bend Oregon. 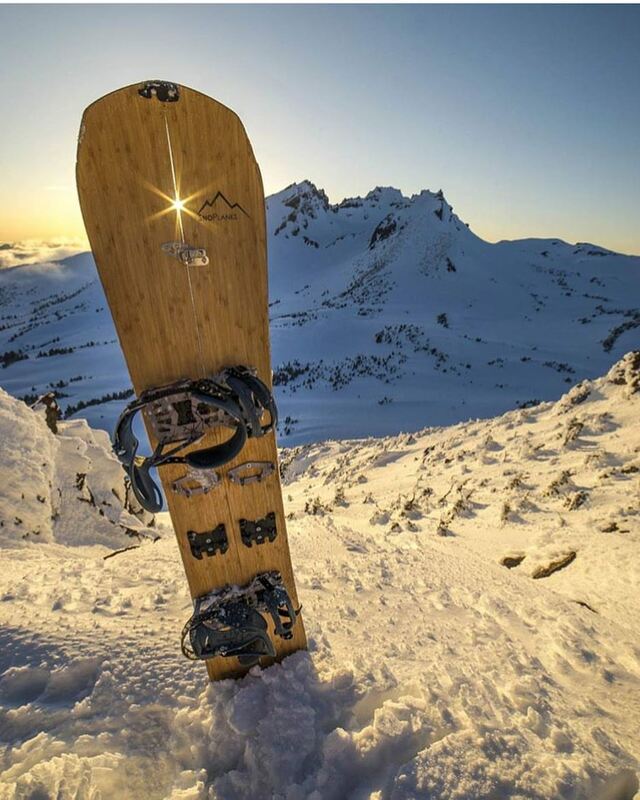 “SnoPlanks is a pacific northwest snowboard, splitboard, and ski manufacturer. Produced entirely in the U.S.A., we take pride in handcrafting and shaping our own bamboo snowboards and skis. Designed for the ultimate snow riding experience, our snowboards and skis are tested throughout the Central Oregon Cascades. By riders, for riders.” SnoPlanks use wood veneers as the graphics for all their snowboards and I have to tell you they are pretty incredible looking. Guaranteed to get people asking what kind of board you got. Empire Grown (http://www.empiregrown.com/) Custom handmade snowboards built using the Poplar and Birch trees growing around their shop in the foothills of the Adirondack Mountains in upstate New York. There aren’t that many custom snowboard brands based in the North East but, Empire Grown is one of the best. Both the founders have a passion for building the best snowboards for New England riding. Powder Jets (http://powderjets.com/) “They have factories, we have a woodshop.” Started in 2009 because the founder couldn't find the board he wanted in the mayhem of the current snowboard industry. “I wanted a classic powder surfer that would float me through open powder fields, and turn tightly enough to manage the squirrely trees here in Vermont.” Handmade snowboards with the highest quality. They only make about 150 boards a year. Powder Jets is not interested in rapid growth they’d rather build the best snowboards on the market. Baguette Boards (https://www.baguetteboards.com/) Named after the bread, they look at building snowboards as more of a recipe. Handmade snowboards in Austria with a French recipe. “At Baguette, we combine our passion for snowboarding with engineered structural analysis, to prepare your own custom bread, shaped and baked according to your taste and profile.” They without a doubt have a very fresh way of looking at the snowboard building process. Pallas Snowboards (https://pallassnowboards.com/) “Pallas Snowboards is an independent women’s snowboard and splitboard company with roots in Utah’s Wasatch Mountains. We’re a crew of ladies who love the snow, chase adventure, and make the outdoors our home sweet home.” Pallas Snowboards is one of the few snowboards brands that handmade snowboards specifically for women. Prospect Snowboards (http://prospectsnowboards.com/) Founded in 2008 in Northern California. Prospect is a handcrafted, artisan ski shop that offers their signature line skis, snowboards, and wakeboards. They build the Prospect line from local, premium, and responsibly sourced materials. WIth more than 30 years of riding experience. The Prospect team brings all of their knowledge and skill together to make the best snowboards, skis and wakeboards on the market. Prior Snow (https://www.priorsnow.com/) Prior has been building handmade snowboards since 1990. “Our aim over the last two decades is to consistently produce boards and skis that stand up to the test of time, as well as the rigorous performance needs of the most dedicated riders and elite athletes.” Offering a wide variety of snowboards, Prior has spent close to 30 years developing some of the best snowboards models on the market. That concludes our list of Handmade Snowboards - 21 Best Handmade Snowboard Brands. We hope that you found a couple new snowboard brands to try. If you liked this list and you’d like to discover other lesser known brands/startups in the outdoor industry and gain discounts on their products then check out the ReddyYeti Membership. Newer PostThe ReddyYeti Podcast EP #67 Be Outfitter - The Ultimate Adventure Backpack. Co-Founder Rory Rogan Sharing His Story.